Tristine Lam, 21-year-old student from Plano, Texas, became a hero in her own right when she walked the streets of Bangkok with a trash bin in tow to rid the environment of plastic waste and raise awareness of excessive plastic consumption and improper garbage disposal. She even rallied support from other like-minded heroes. One sunny day in Bangkok, a group of 12 people showed up on Rama IX Road to collect about 15 bags of trash, which included a lot of plastic and single-use takeaway bags and containers, straws, ink cartridges, snack packaging, glass bottles and other waste. The eclectic band of strong-willed volunteers was made up of three University of Texas student interns, seven locals, Trash Hero’s coordinator, a Norwegian father and his daughter and the mastermind, Tristine Lam. Aspiring to become a professional physical therapist, Tristine’s other passion is to strive towards a zero-waste lifestyle. Growing up in a family where zero-waste conduct was encouraged and imposed since very young age, not only she is conscious of the amount of waste she’s producing, Tristine also constantly looks for ways to help. It was not until her internship with medical tourism company, Medical Departures, in Bangkok, organized by NEXSTEP earlier this year that her life-long passion and mission propelled into a fruitful collaborative effort. “I had studied in Bangkok in the fall on 2017, and even then I became aware of the amount of plastic used, not only in Thailand but also in most of Southeast Asia,” Tristine said. 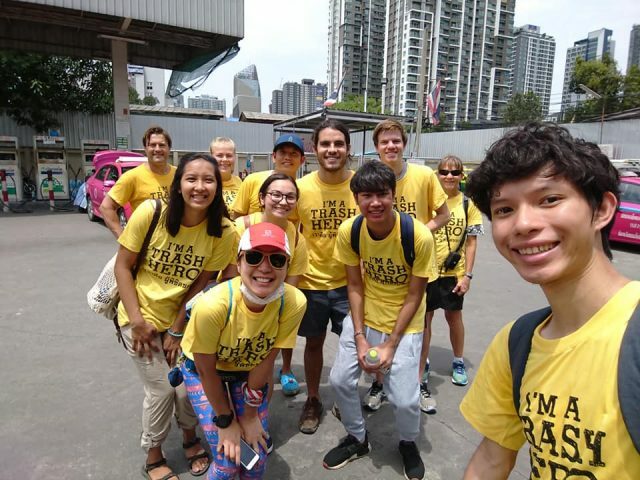 “When I had the opportunity to return to Thailand to do the internship, I felt responsible to do something to not only clean-up trash, but also to inspire others to reduce their plastic usage in a city where it is seemingly impossible. 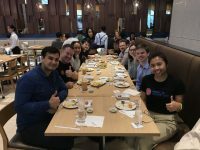 I was further inspired to follow through with my idea of hosting a clean-up during a NEXSTEP professional networking event, in which Frederic Pouget, a lecturer at the Dusit Thani College, incited a discussion about the ridiculous trash problem in Thailand during his presentation. Now back in Texas to pursue her education, Tristine took with her from Bangkok the determination and experience to soldier on with her good cause. “The Precious Plastic project is my next endeavor,” she said. “I want to implement Precious Plastic in Austin, Texas with my friend. He happens to be a sustainable engineer intern at KFC, so this project is right up his alley. We have already started discussing funding and a potential workspace for the building of the machines, and we are so excited to see the project come to fruition. We’ve already started the discussion with a couple of University of Texas organizations such as Texas Sustainability. 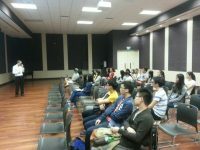 We hope to establish Precious Plastic as an on-campus university organization, so we can involve other students in this project. “What is so great about this project is that, once the machines are built and functional, they are open to anyone in the community to come and recycle their plastic waste and to create products out of it, which they can then sell or use. In other words, there is a business opportunity that comes with this project as well. The incentive might give people who may not previously have a reason to recycle, to recycle now! I am hoping for big things in these upcoming months.